a photo and maybe even a scratch. we are often joined by a pod of dolphins as we head out to the island. WHEN: Available 7 days a week, all year round departing at 8.00,10.30 & 1.00 NSW time if first boat is full. (please be flexible with your times and be aware that we will fill up the morning boats first)– weather permitting. Departures are usually scheduled for mornings to ensure the best conditions. SUITABLE FOR: Beginner, intermediate and experienced snorkellers. Children from age 5 and up are welcome – children under 14 must be accompanied by an adult. Due to constant changing weather conditions if you are booking within 24 hours of departure please call or sms 0430 082 890 to confirm. Q: Does Cook Island have a beach? A: Cook Island is a volcanic outcrop which had been awarded a marine reserve park status so no access to the Island is granted. A: Our staff are highly trained and qualified and can teach you the necessary skills. Alternatively we provide private snorkel lessons if desired. Q: Do you need to be able to swim? A: Yes, this is very important for both your experience and the others on the boat. 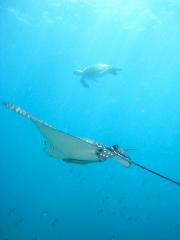 Our guides are there not only to keep you safe but to also show you the delights of the underwater realm of Cook Island. Q: How big is the boat? 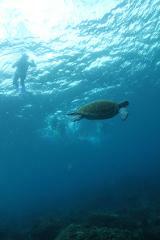 A: We take exclusive tours of only 10 snorkelers at any time to ensure you have the best experience possible! 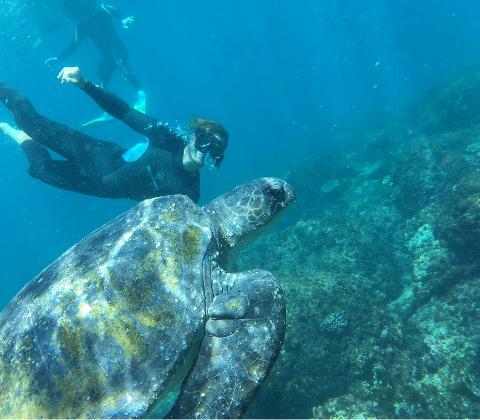 This allows a personal experience and to make sure you see the turtles. Q: Is it possible that I will get sea sick? A: This is dependant on the individual. If you have previously been sea sick in the past it is a possibility due to the varying conditions on the day. Q: Will I see turtles? 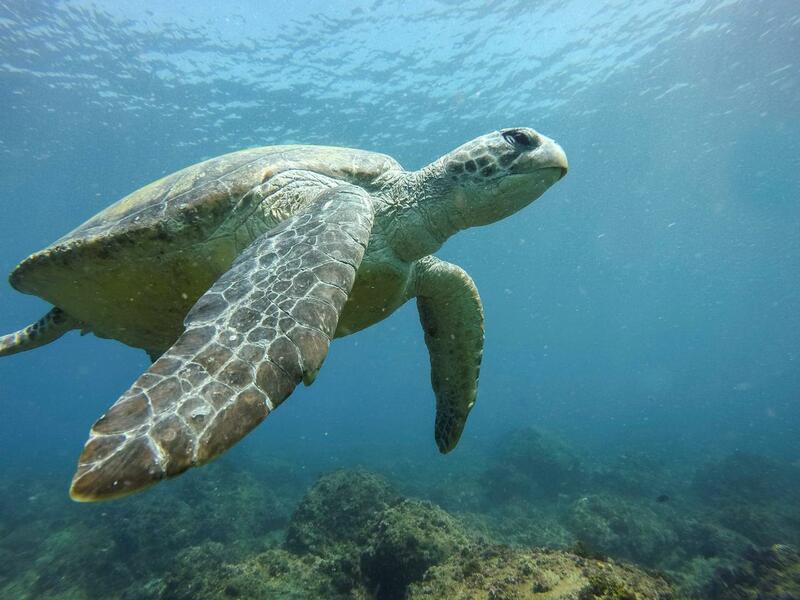 A: Cook Island is home to a large variety of Green Turtles and also Hawkesbury Turtles. 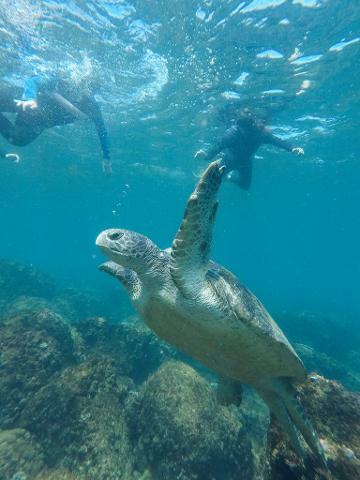 It is extremely uncommon to snorkel the Island and not encounter the turtles. Q: Will I see a shark? A: We have never sighted a dangerous shark at Cook Island. 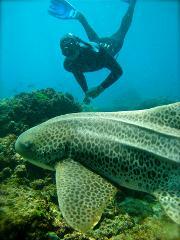 We do however get to see Wobbegongs & Leopard Sharks.